Every Arnold driver enjoys the feeling of having a new car, but that doesn’t always mean having a vehicle that’s brand new. Instead, a used vehicle can be a great option for those drivers with a budget, and finding a used car under $20,000 is easy when you pick the right dealership, such as Jaguar Annapolis. Our dealership is well-known for working with luxury vehicles and offering them to Baltimore drivers at a fair price. Even if you have a tight budget, we believe you should still have the opportunity to drive home a luxury vehicle that matches your style, which is why we offer used cars under $20,000. 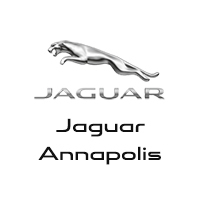 If you have a tight budget but still want to make a positive statement on the Baltimore road, be sure to check out a used car under $20,000 at Jaguar Annapolis. We have a full inventory of used models you can rely on, so be sure to check us out today. If you’d like to see what else we have in store, don’t hesitate to explore our new vehicle inventory as well.